What a fun shoot this was! As with most newly weds, Jessica and Brett wanted some classical shots, the ones that depict how in love you are on such a big day, but they also wanted to capture their sense of fun and humour so we mixed it up between classic poses… and some more comedic ones. The champagne flowed pretty liberally during the shoot and soon it was one big giggle fest. Even when the laughs are coming thick and fast, its my job to ensure that things stay on track – the wedding guests don’t like to be kept waiting for hours and hours….so I guided the proceedings as quickly as I could to a successful, laugh filled conclusion. 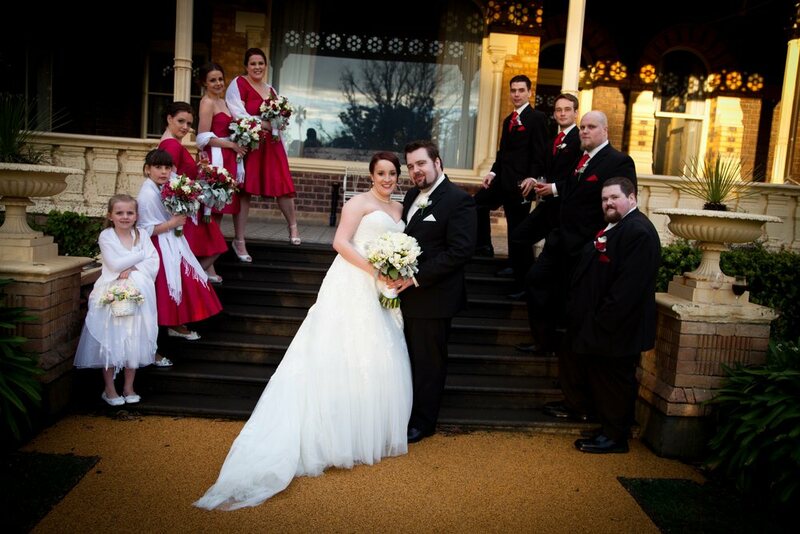 The end results were wonderful, we got a good range of photos, the traditional, conservative, we are so in love ones…. and the look at us, we are loving life, loving our big day and we are so excited this is just day one of our lives together. A great shoot, and a great day for everyone.